The Palo Global Roadshow 2010 started successfully with events in Sydney, Canberra und Melbourne. More than 100 participants from Australia, New Zealand und Asia last week saw presentations of the new Palo version 3.1 and the new Palo GPU technology. Palo Partner Red Hat gave an overview on Open Source Business Intelligence. Mitre 10, the second largest Doityourselfwholesaler in Australia with 450 affiliated hardware stores, presented a Palo application that supports sales and operational planning and merchandise reporting. Mitre 10 was assisted in introducing Palo by the Business Intelligence Specialist and Palo Partner Naked Data, coorganizer of the Roadshow in Australia. Norbert Grimm, Jedox VP Services and Solutions, who was on location, was impressed by the positive response of the Roadshow "down under", which lead to a high number of enquiries for Naked Data. Grimm said: " We have found a high level of interest in Open Source Business Intelligence by corporations of all sizes and public authorities in Australia. Prospects especially like the fact that Palo offers fully webbased BI processes. "In April the Roadshow tours UK, France, Austria, Switzerland and Germany. All briefings are free morning or halfday events. To learn more about the Palo Global Roadshow or to register please visit www.paloroadshow.com. The disadvantages of using Excel as a technical platform, such as difficult integration into existing system environments, limited multiuse capabilities, decentralised provision of data and its somewhat circuitous use are all avoided by using Palo.Palo for Excel extends planning, analysis and reporting processes with Excel to a cost efficient Business Intelligence Solution. Whilst the Excel User Interface remains, Palo's central data storage logic avoids the well known spreadsheet hell. Palo for Excel includes the powerful OLAP Server Database, plus the Microsoft Excel Addin. The Palo Suite accommodates the entire range of Business Intelligence and Corporate Performance Management requirements including planning, budgeting, forecasting, reporting, dashboarding and analysis. 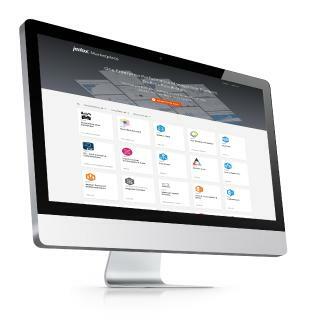 The Palo Suite is fully compliant with the web and also available as a Software as a Service.